The majority of adults in the UK, some 80%, are not confident in the Government’s ability to make it easy and more accessible for people to buy a property over the next two years, a new survey has found. 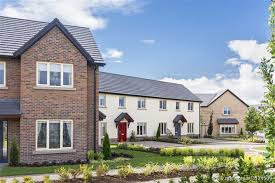 The result of the poll comes at a time when the Government is putting housing at the top of the agenda with new figures showing more new homes are being built year on year and expectations that next week’s Budget will include measures to further boost the property market. The survey from bridging lender MFS looked at what people who have bought a home in the last 10 years think is important in terms of getting ahead in the housing market. It found that have a very clear idea of a budget and what property to buy is the top factor, followed by access to the required finance, not being in a chain, and then acting fast with an offer once finding the right home. Respondents also rated flexibility as being important and not being limited to a particular locations, being able to offer above the asking price and not putting in an offer that is too low. Coming in at the bottom of the list was gazumping. The practice of making last minute bids to steal a property away from a rival buyer has been cited as a common issue in England and Wales, but the poll shows that homebuyers do not deem it to be as important for people hoping to be successful in the property market. ‘With 11 house hunters for every home up for sale, the UK’s property market is hugely competitive. The research provides valuable insight for those looking to get ahead in this marketplace,’ said Paresh Raja, chief executive officer of MFS. As well as having a very clear idea of your budget and desired property, it is also vital that people seeking to get onto or move up the property ladder have immediate access to the funds they need to complete the purchase if they are to secure their ideal home,’ he explained. ‘People are clearly not confident in the Government’s current approach to home ownership, and this year’s Budget provides an ample opportunity to address some of the market’s key concerns,’ he pointed out. ‘Central to this is the ability for investors to quickly access finance and reduce the risk of being stuck in prolonged housing chains whether it’s through traditional mortgages or alternative options such as short term bridging loans, house hunters must ensure they have the required finance to act, and act quickly,’ he added.